The preamble to the South Brunswick school district’s mission statement begins as follows: “South Brunswick Schools will prepare students to be life-long learners.” This idea – that learning is ongoing, and occurs both within school and outside – led to an innovative program that fosters cross-generational exchange. To better connect with the township’s seniors, the school district established the Intergenerational Partnership Program, which brings older and younger citizens into one another’s lives. The goals are for students to be inspired by the wisdom of older members of the community; for senior citizens to appreciate the enthusiasm of younger community members; and to build mutual respect among both groups. The program provides multiple paths for seniors to interact with students. Events include a Seniors-Only Student Art Gallery and a Day with the Characters, in which middle school students perform a dress rehearsal of their musical for the senior citizens, and then spend a lunch visit “in character” with the seniors. Seniors are also invited to sample foods prepared by students; provide commentary at events; serve as judges; attend socials, and volunteer in the schools. Activities are set up to permit adults and children raised in different time periods, and cultures, to share their values and perceptions of the world. 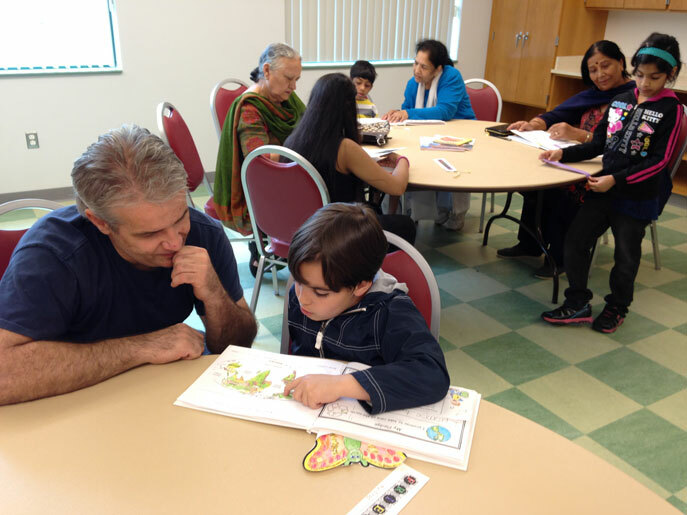 A global perspective is part of the program, which is especially important in South Brunswick, which has become a growing, highly-diverse community, where nearly 40 percent of families are now multi-lingual. Participation has increased each year. Ten years ago, the program involved two events, conducted in the spring. Now, programming spans November through June. The Intergenerational Program has become part of the fabric of the South Brunswick community.